"Bring the kids, bring the dogs (leashed and cleaned up after). The art abounds with jewelry, painting, mixed media, photography, pottery, wood working, sculpture, belts, hand-knits, and so much more. For your listening enjoyment, there will be 3 bands on Saturday: Jo-Anne Carlson, The Cat Daddies and Old Men in the Basement and a special guest appearance by Kelly Shanahan. Sunday’s band line-up brings you Anne-Marie Perry, Imagination Head, Doghouse with Caroline Aiken and last but not least Ed Roland of Collective Soul with his new venture The Sweet Tea Project." In fact, while you're in Brookhaven, you should check it out a bit. Brookhaven is interesting. For decades, it's been that neighborhood in between. Buckhead to the south. Chamblee to the North. Great international food finds up the road on Buford Highway. Great shopping to the south. Brookhaven had large houses, a few good restaurants and watering holes, and considerable charm. But, you had to get in the car and go to find something to do. In the last few years, though, Brookhaven has taken it up a notch or three. New developments like Town Brookhaven and Village place have brought tons of restaurants and shops to the district, along with condos and apartments for the now 34 year old on average Brookhaven community of young urbanites. The cine bistro is a great place to take a date - movie and food at the same time. Smart. Oglethorpe University has tons of art exhibits and plays at their Georgia Shakespeare Theatre. And, of course, there's the Cook's Warehouse. Cooking classes every day of the week. Mix in the generous helping of happy hour pubs, pizza joints and such, and you have yourself a great up and coming neighborhood. If you're thinking about moving to Atlanta, this is a great place to land. First: We've said it before. We'll say it again. CBS Sunday Morning (9-10:30 ET). Best way to settle into a great Sunday. 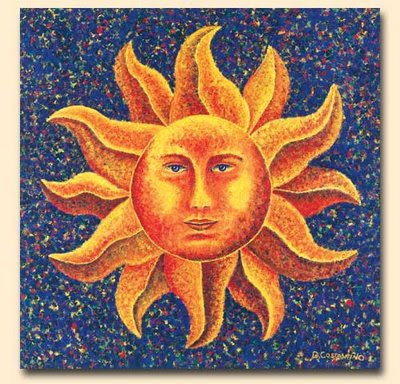 Be prepared to learn something, and don't forget to enjoy the artwork - always a painting or sculpture of the sun. Have some strawberries, banana, mango, melon. Relax. Learn. $5 per person for breakfast. Second: Brookhaven Arts Festival Time. We always recommend mixing lunch with art viewing with music. Grab a funnel cake, or a hot dog. Check out the art and grab a great spot to watch Ed Roland and the Sweet Tea Project. Festival is free. Third: Nap time. Festivals bring naps. It's a rule. Fourth: A beer at Mellow Mushroom. 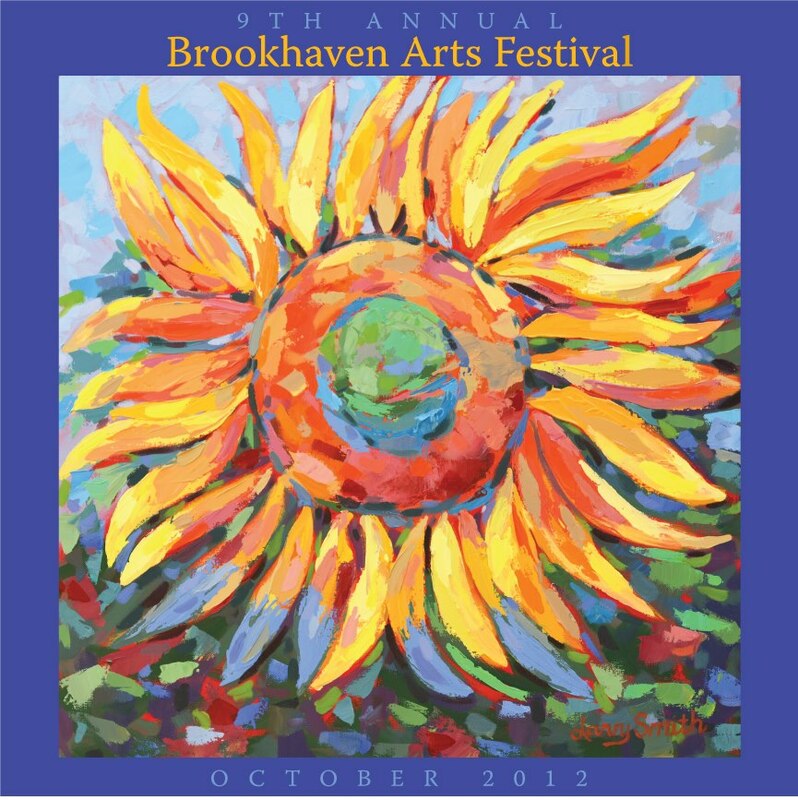 Take a little tour of Brookhaven. Finish up at Brookhaven Station, where you can sit on the patio at Mellow Mushroom with a beer and a slice of pizza. $10 per person. Finally: Time for a movie and meal. 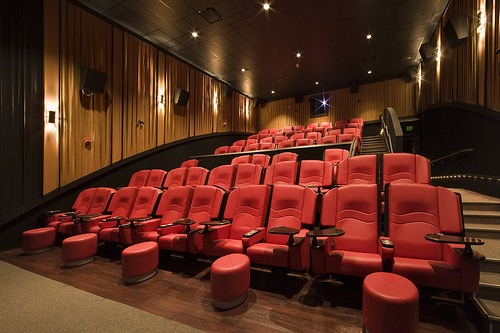 Since it opened at Town Brookhaven, Cinebistro has been widely known as the best of breed eat and watch movie theatre in Atlanta. Paranormal Activity 4 is the show on Sunday. Get a bottle of red, some baked goat cheese or lamb lollis, and a the shrimp risotto and get ready for Halloween with some horror. Show starts at 8. Get there a half hour early to order food. $40 per person. See the girl behind her? Watch Paranormal Activity 4 at Cinebistro Sunday night. Cinebistro has some nice digs. Today's full day plan can take up to about 17 miles of driving, if your home base is midtown Atlanta. The 17 miles equates to about 12 pounds of carbon dioxide, or the carbon sequestered by about 2 sq feet of forest. Calculations are based on the U.S. EPA's green house gas equivalencies calculator.